We Are Small Enough to Know You But Large Enough to Serve You! It’s true! We are small enough to know you but large enough to serve you. Our reputation for hard work and integrity are well known. Our experienced agents deliver quality service and are always keeping up with the ever-changing market and new “rules of the day”. Our team really knows Lake Martin and the surrounding areas – most of our agents live on Lake Martin! Our goal: to give exceptional service. Our team is ready, willing and able to assist you and answer your questions. Experience has taught us to listen and we know how important that is. Let us help you figure it out…..what will work best for you. Absolutely the most knowledgeable, professional, and friendly real estate firm I’ve ever worked with. Very impressive! This is a company that takes a personal interest in your property whether selling or buying. 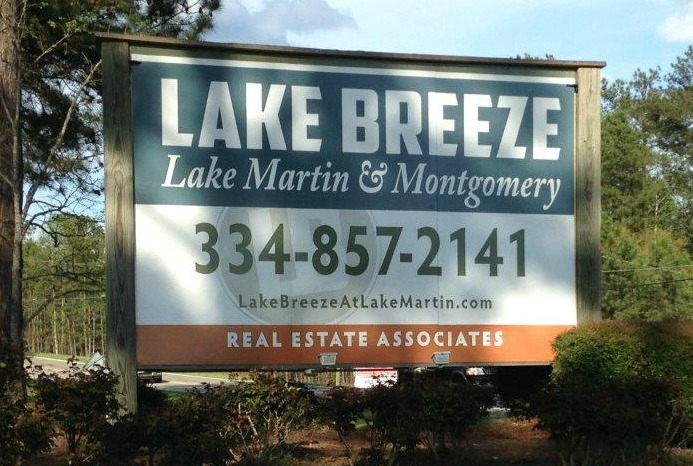 Call Lake Breeze for all of your Lake Property questions and needs.